In the minds of fans, Joe DiMaggio and Marilyn Monroe were the perfect couple. 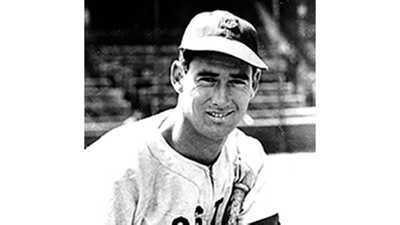 "I don’t think it was a surprise at all," said Jerry Coleman, one of DiMaggio’s Yankee teammates. "The greatest woman in the world and the greatest guy in the world. It was a perfect match." The two stars, who shone separately, seemed to double their magnitude when a couple. DiMaggio was back in the spotlight; Marilyn gained the respectability that DiMaggio seemed to offer. 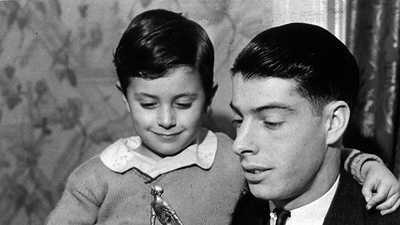 At about that time, DiMaggio was mentioned in Ernest Hemingway’s "The Old Man and the Sea," which also helped elevate the sports star into the sphere of myth. The reality, however, was more difficult. DiMaggio wanted a stay-at-home wife; Monroe wanted a husband she could talk to about her work. Problems became apparent even during their honeymoon in Japan. The United States Army asked Marilyn to come to Korea to entertain the troops. When she came back to Japan to join her husband, she made the now-famous remark: "You never heard such cheering." DiMaggio, nonplused and a little testy, replied, "Yes, I have." Not long into the marriage, Marilyn called old friend and actor Brad Dexter. Dexter tells the story this way: "‘I’m extremely unhappy,’ she says. ‘I married Joe with love. I thought I was going to have a good life. I thought we were going to have a decent marriage. I thought we were going to have a relationship as a husband and as a wife. And all the things that are entailed in a good marriage. And I’ve discovered that the man is absolutely obsessed with jealousy and possessiveness. . . . He doesn’t want to know about my business. He doesn’t want to know about my work as an actress. He doesn’t want me to associate with any of my friends. He wants to cut me off completely from my whole world of motion pictures, friends, and creative people that I know." Things finally fell apart when Marilyn was in New York City filming "The Seven Year Itch." In a famous scene, Marilyn stands over a subway grate as a burst of air sends her dress flying high. Photographers clicked away. DiMaggio watched, disgusted. Afterwards, the couple fought. When they got back to California they fought again, but this time Joe became physical. 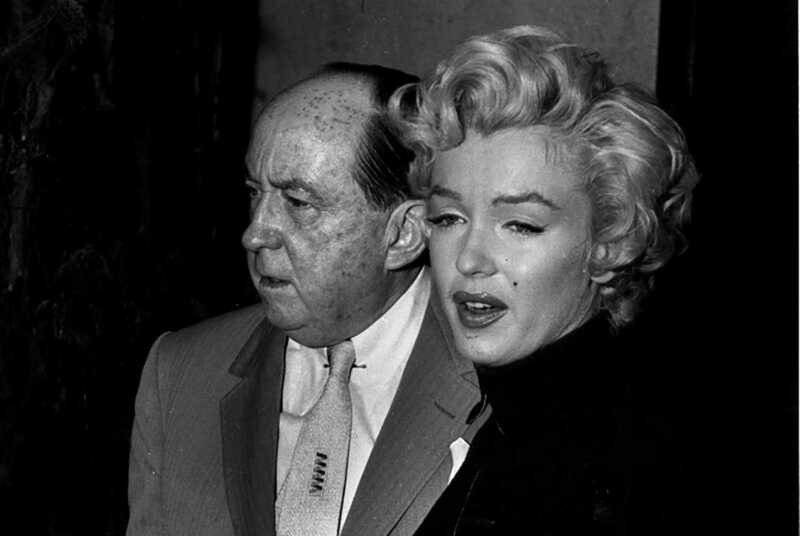 Now Monroe went to the courts asking for a divorce, charging "mental cruelty." Dexter recalls DiMaggio’s attempt at a reconciliation on a night the actor was out with Frank Sinatra. DiMaggio showed up and pleaded with Dexter, still a friend to Monroe, to call her to help make amends. "So he came to the Villa Capri and we went into the kitchen and got on the phone," Dexter says. During the conversation, Dexter told Marilyn that Joe "realizes that he’s made a terrible mistake in how he’s handled himself in his marriage with you. And he’d like very, very much to be able to pick up again and get together with you and maybe you could reconstitute your marriage." Her response was cold. "She said to me, ‘Brad, I don’t want to talk to him. I absolutely don’t want to have any communication with him at all. I’ve had it and this is it.’ I says, ‘Well, if that’s your desire, I’ll translate that to him and I’ll tell him. . .’ I hung up and I said, ‘Joe, she does not want to talk to you or have anything to do with you.’ And that was the end of it." DiMaggio was devastated. When Joe DiMaggio died, a 57-year old man with a gray pony-tail was one of the select few allowed to attend the family funeral. 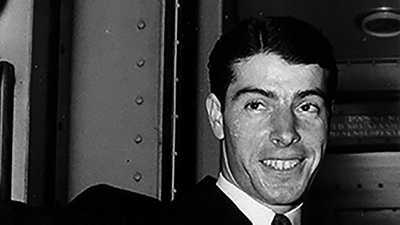 Joe DiMaggio is considered one of the most memorable baseball players of all time.